Skiing can be hard work--especially if you are mom. One Ski Hill Placeis the reward mom deserves. Here&apos;s how it is: Mom is in charge of packing, feeding, and supervising all the excursions. That means making sure four pairs of gloves are on hand (main pair and back-up), snacks are packed, sunscreen is on, and potty visits have been made. Mom is the one ski school calls when a child is sad, wet, hurt (god forbid). We are the glue that makes a good vacation come together. So why, I ask you, should we settle for mediocre housing! One Ski Hill Place is the luxury mom (and family) deserve when skiing. The condominiums opened last summer and this is the first winter they were opened for ski vacations. The units are for sale (think in the million+ range), but the insider news is that families can rent these swank residences the same way you would a hotel room or normal ski condo. But that is about the only thing this place has in common with any other ski lodging I have ever seen. I live in a lovely condo in NYC--or so I thought until I stayed at this resort. One Ski Hill Place is all about high end luxury living. From elite appliances, high-thread count sheets, marble baths, granite counter...this place caters to moms dying for a little pampering. A quick rate check placed our room at about $610 a night in April (2 bedroom condo). The resort is managed by RockResort and great attention is paid to detail and service at this 88-unit resort. 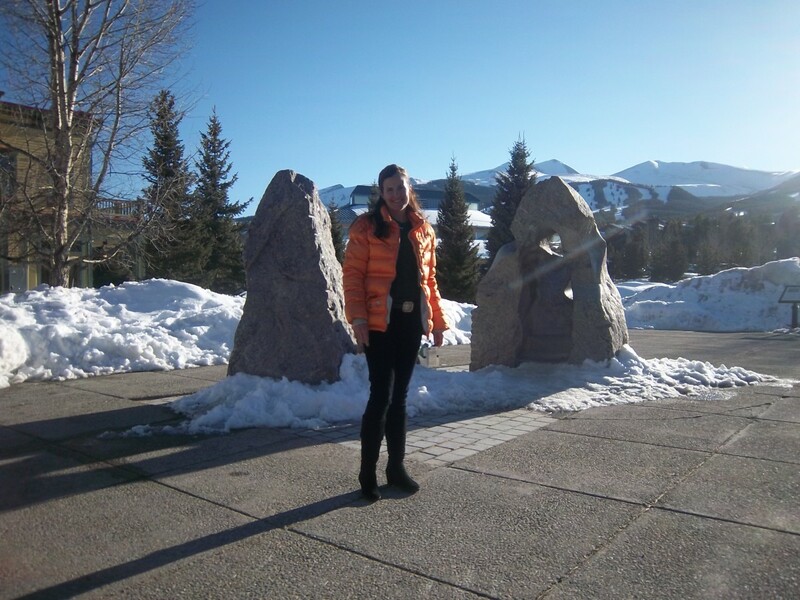 The ski in, ski out location is at the base of one of Breckenridge&apos;s basins. We stashed our skis and gear in the heated locker room each night and in the morning our equipment was warm and dry. 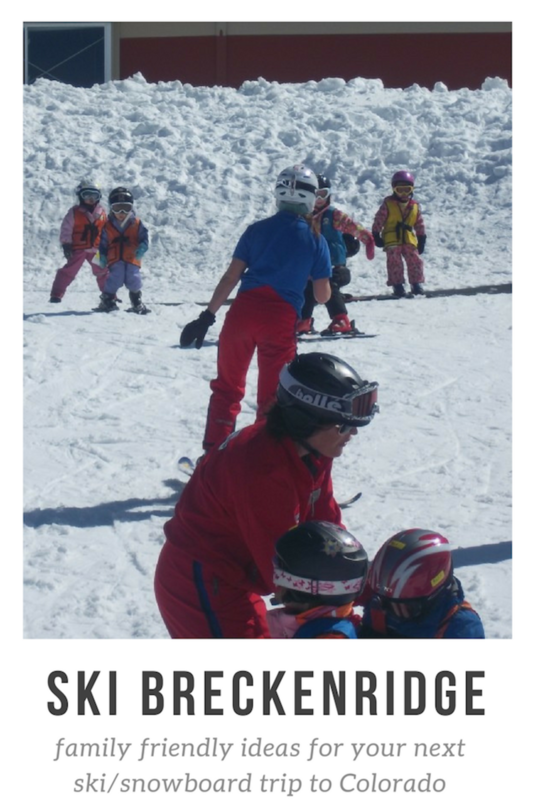 We had a lovely spot to suit up and them we were but a few steps away from ski school, the lively Ski Grill and three lifts. 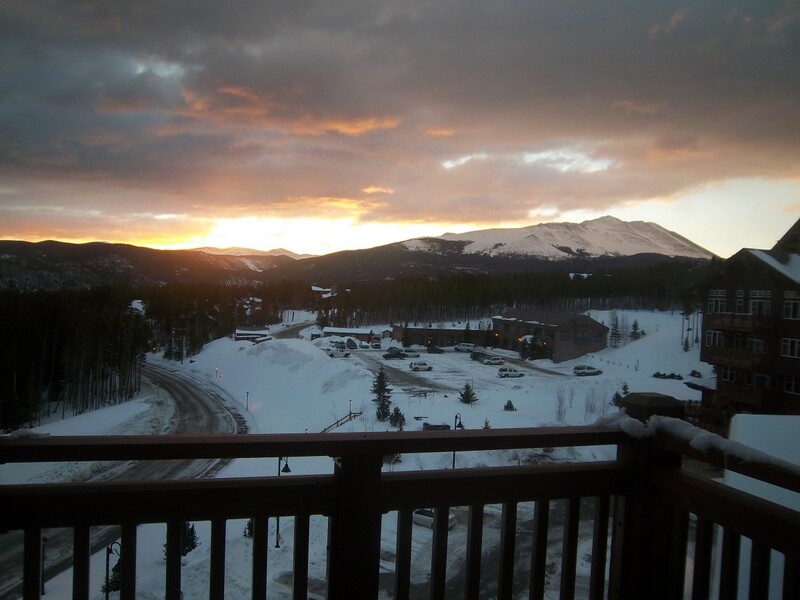 Skiing Breckenridge can keep you busy for a week. The terrain is vast and varied. Riperoo is the official mascot (and a new best friend of our little people). Kids are very welcome here. In fact, my youngest loved her "coach" Molly and the fun yurt they have for the 3 year olds so much that she barely wanted to leave at the end of the day. As for grows-ups, feel free to challenge yourself on the black terrain (this normally wimpy skier tackled her first double black diamonds thanks to guidance from my ski instructor Dave) or stick to the pretty tree-lined groomers. Snow boarders have a huge terrain park to keep jumpers happy. For more thrills, Breckenridge has a coaster on the hill. Riders sit on a sled and race down the mountain on tracks. While we loved all the fresh snow we received on our visit, we were a little bummed that the coaster was closed due to snowy tracks. When the ski day is done, enjoy a little bowling with the family, or head to the pool area. 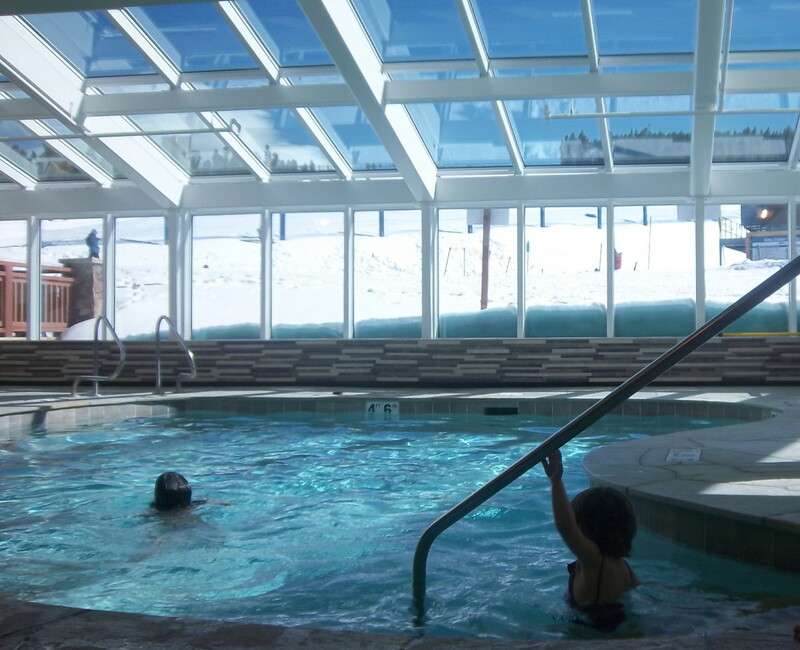 One Ski Hill Place boasts three indoor pools--one wading pool with spouts and squirters for the kids, one plunge type pool that&apos;s a little deeper, and a huge hot tube for soaking tired muscles. Steps away is a roomy outdoor hot tub that looks out on the mountain. We dined at the Living Room and were happy to meet the chef and the GM Kate--both made us feel like royalty (more on that later--Kate sent our girls a little gift). The menu was suited to the West--nothing fussy just great flavors with a focus on freshness. We approved. We also had the exquisite pleasure of dining in our room. With views of the mountain, elegant furniture and a roaring fire--who could want more. If you bore of skiing or if you visit in the summer, we advise taking the gondola into town (no car needed at OSHP). We were treated to a lovely meal at Relish. I devoured a unique Caesar salad (avocado and strawberries added) and coq au vin with a lovely white wine. Yum. Town is quite lovely and strollable. In summer we&apos;re told there is a lively art scene with live music and theater and we can only imagine how terrific the hikes are in this territory. 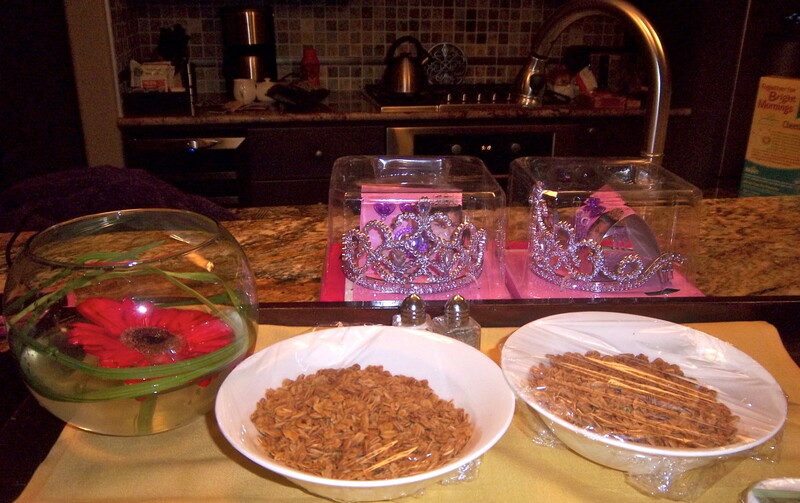 Well-trained staff at the lodging--we received tiaras for our two little girls with our breakfast trays. Movies available for free in-room viewing. Pools make splash time unusual and fun. Simply stunning room with high-end features. Our oldest daughter got a private lesson one day and it was a flop. She missed being with other kids. While she did perfect her ski jumping, I had to come get her early from the lesson. 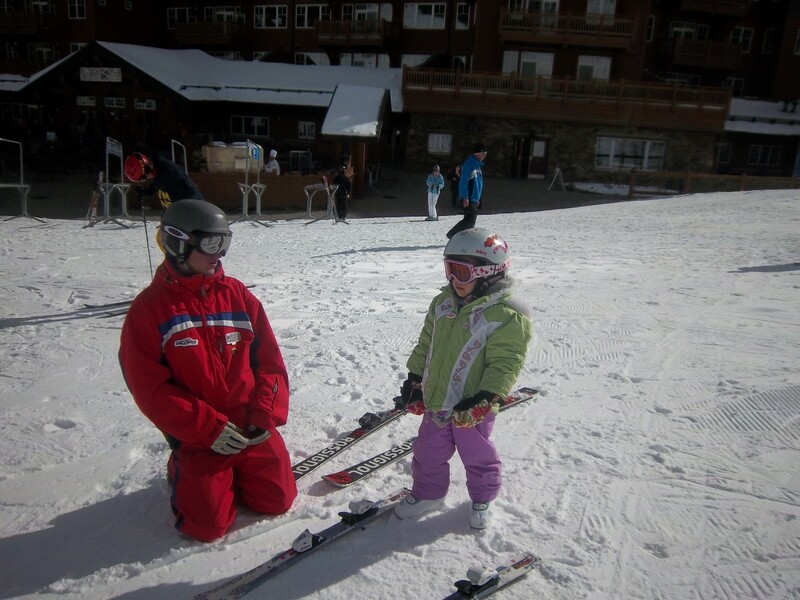 It was my gain though--I got to ski with my little snow sprite for the rest of the afternoon. Momtrends was not compensated for this post. We did receive airfare, lodging, food and excursions to facilitate telling about our family&apos;s experience.